In air-tight containers in a dry place. 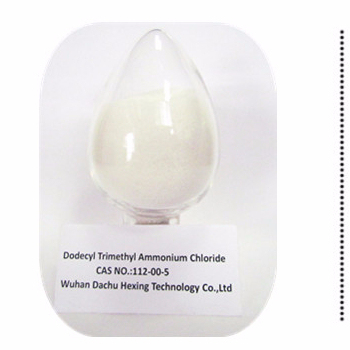 White crystal or powder, soluable in water and alcohol, compatible with cationic or nonionic surfactants, stable under heating, pressure or light, and tolerable to strong acids and alkalis. Can be used as emulsifier in waterproof paint, nigrite emisification, cosmetics, skin or hair conditioner and neoprene, act as antistatic agent in fiber industry, also used as antiseptic agent in a variety of industries and agriculture. The function in painting ink: can improve the flwablity, rheology, transitivity, and adhesivity of painting ink, and make painting ink better at the film coating.